Four product lines, numerous series as well as diverse automation solutions and options. Find the appropriate machine for your application. Horizontal machining centers for precise machining with highest chip removal rates. Excellent productivity combined with small footprint. Upper gantry machining centers with moving Y-bridge. For dynamic and stable machining of large-volume lightweight and heavy workpieces. Modular universal machining centers. 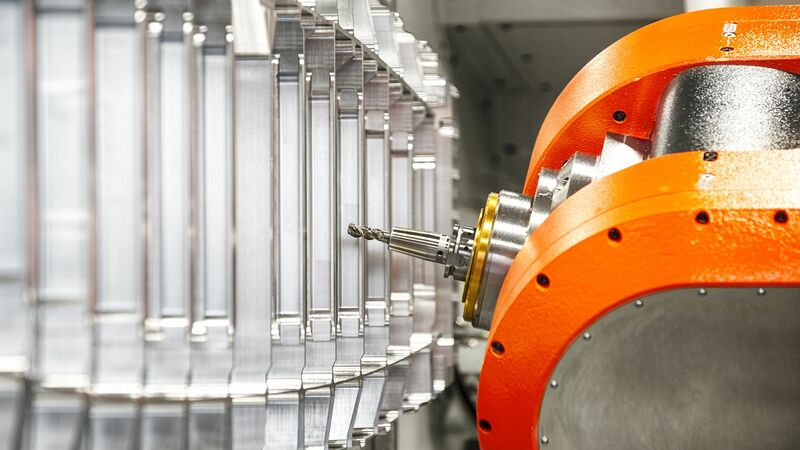 For flexible and highly-precise machining of workpieces up to 12 x 2 m.
// Our machining centers are highly productive with a compact machine design. // We are powerful, especially in high volume cutting of aluminum. // We provide comprehensive solutions for individual machines and cells with (more) interlinked machines. // Recognized for first-class, reliable support and expert advice based on partnership throughout the entire process. the maximum productivity, precision and reliability are achievable.